Actually two POS systems! One optimized for Ticketing and one optimized for Retail or Food & Beverage. And both POS systems are available on Android Tablets for roving sales! All our POS stations feature web-delivered ticketing software providing our clients with low IT impact and low operational costs. Our POS stations are Plug-N-Play and are operational in minutes and need less than 60 minutes of training to operate. POS stations have low hardware costs and have economical flat-fee annual pricing, which is typically less than annual maintenance and IT operating costs of traditional POS solutions for attractions. Our tickets print in less than 10 seconds to ticket printers such as BOCA or Practical Automation printers. To support your Group Sales efforts, we handle bulk ticket printing for advance distribution to large groups. 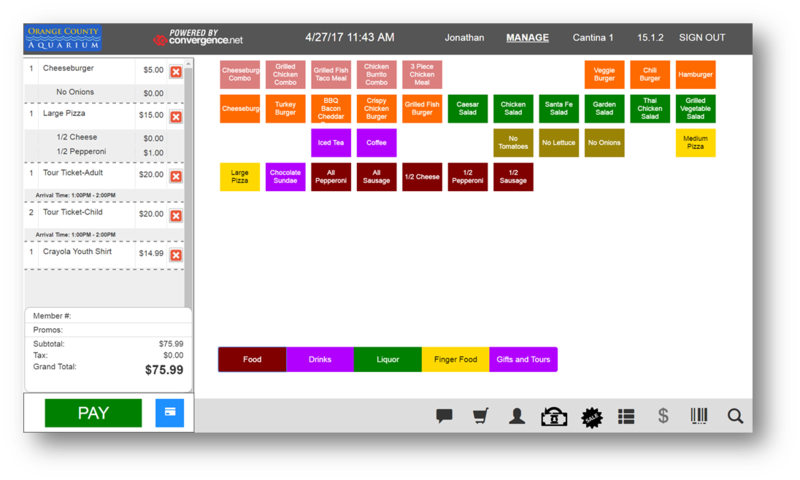 All POS ticket products are setup in our integrated management tool just like our online ticket products. Reports may be run for just POS sales or consolidated with other online sales. All POS software runs in our data center, so clients do not need to buy servers and do not need to install software. 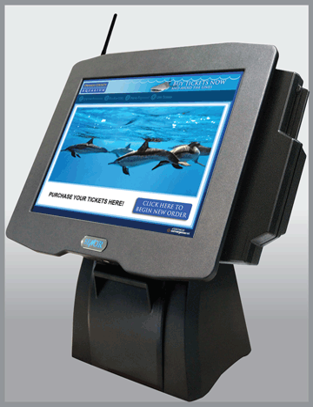 This is truly the easiest to use and most economical POS system available for attractions. Our POS capability includes membership card processing. Our system controls the image capture for photo ID, stores the images in our servers in the "Cloud", and prints the cards. We support the leading card printers and PC camera applications. All of our POS stations feature the latest in credit card security. We support EMV chip card payments as well as NFC mobile payments such as Apple Pay or Android Pay. We utilize End-to-End (E2E) credit card encryption which encrypts the credit card information in the magnetic card reader device. Our POS software never receives or handles unencrypted credit card numbers. Convergence provides an integrated Inventory Control capability with real-time inventory count adjustments. Our internally-developed Inventory Control is integrated with our online for web sales, our POS for on premise sales, and also our backend management. Staff may use the same user account access to our Platform management for Inventory Control and may also access other non-Inventory Control management pages in the same management session. Clients may issue an unlimited number of user login accounts as needed without a per-user fee. User-defined attributes allow client staff to define important search attributes which group inventory items and allow fast, easy searching of relevant items in both POS and Inventory Control management functions. Our multi-venue capabilities extend to Inventory Control with inventory being assigned to locations within each venue, but allowing inventory to be transferred between locations. Our modern design is optimized for roving staff to use tablets to take inventory levels or to receive order shipments. We support two levels of inventory re-order alerts, settable per inventory item. A bi-directional EDI interface allows electronic reordering with major suppliers. We support kits for retail POS applications and ingredients for Food and Beverage applications. We also have provisions for marking inventory as damaged or spoiled.